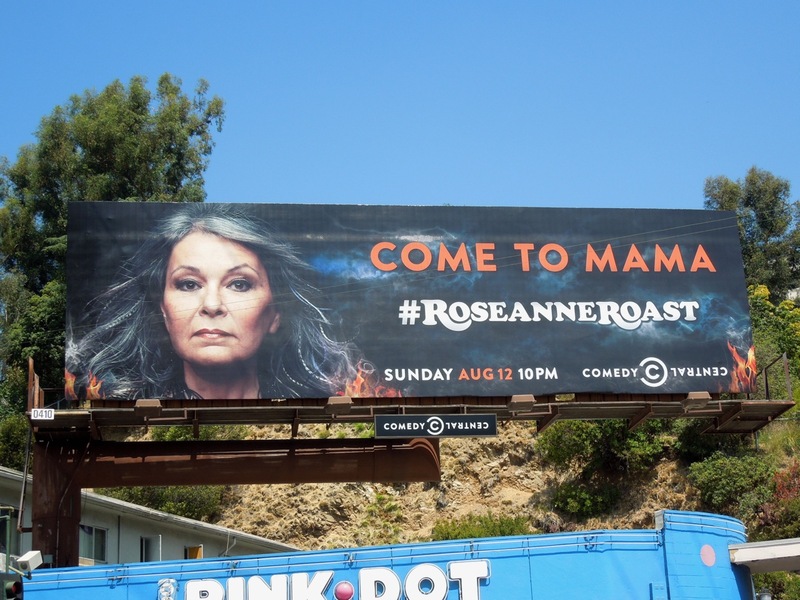 Star of nine seasons of the Roseanne sitcom from 1988 to 1997, Roseanne Barr is back for a real roasting from her stand-up comic friends (and frenemies? 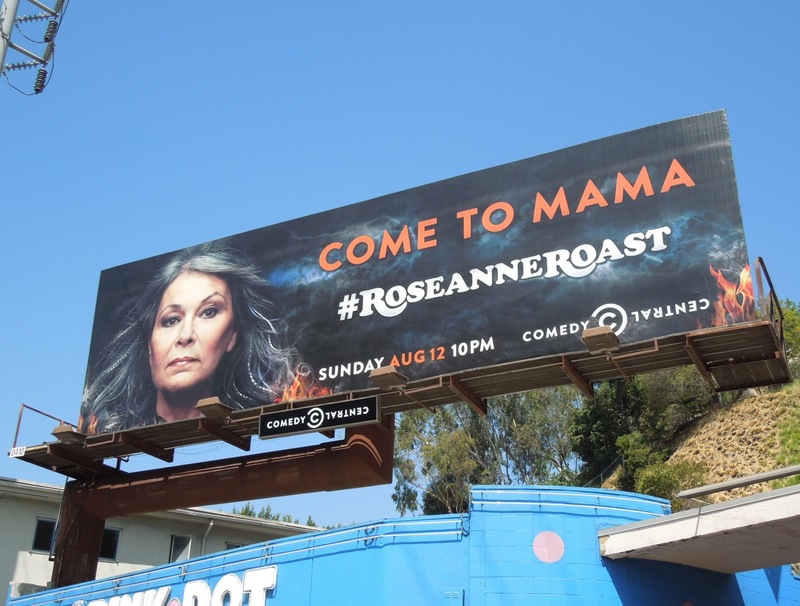 ), plus a whole host of celebrities looking to poke fun at the outspoken comedienne, including the likes of Sharon Stone, Carrie Fisher and Katey Sagal. She can dish it out, but the question is can she take the jokes and jibes aimed at her in this Comedy Central special. 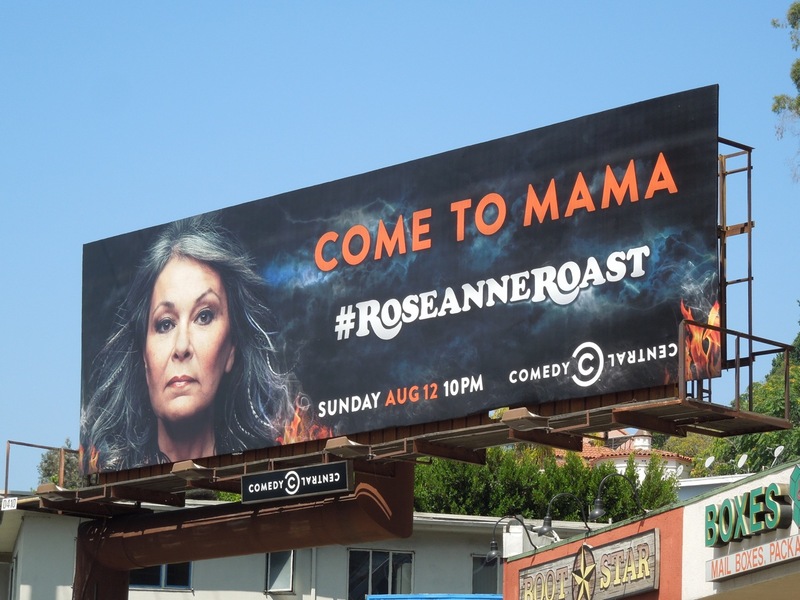 The roast of this comedy icon airs on Sunday August 12, 2012, with roastmaster Jane Lynch overseeing proceedings. 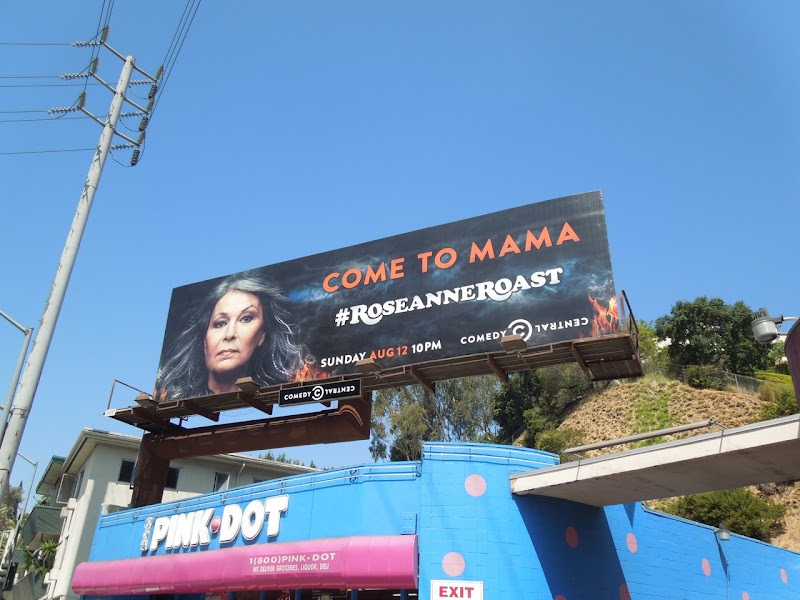 Surely Roseanne has nothing to worry about and she's never had a bad word to say about anyone. 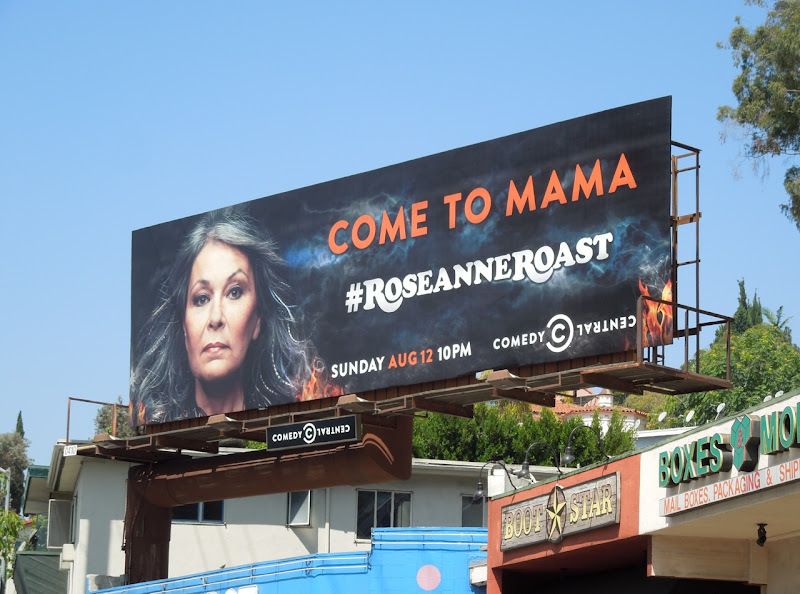 This Comedy Central billboard was spotted along Sunset Boulevard at the top of La Cienega Boulevard in West Hollywood on July 24, 2012.